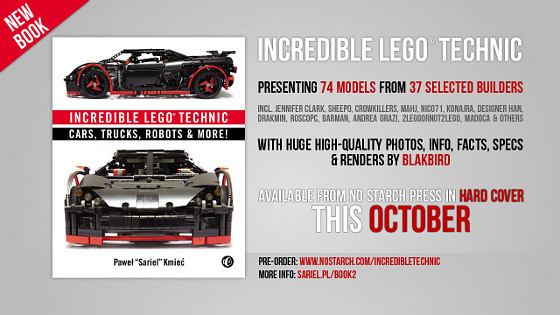 Paweł “Sariel Kmieć has been hard at work this year to release his second book, Incredible LEGO Technic: Cars, Trucks, Robots, and More! 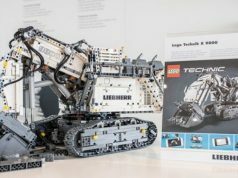 For this book, Sariel with the help of Blakbird from Technicopedia has brought together a number of people in the LEGO community who specializes with Technic to produce a book of some of their best work. 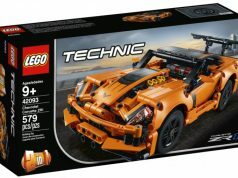 As mentioned before, Incredible LEGO Technic is the second book that Sariel has released with the first being his very popular The Unofficial LEGO Technic Builder’s Guide . 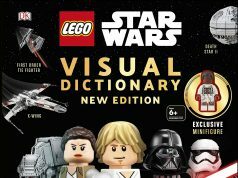 You can now pre-order the 280 page book from No Starch Press for $29.95 and it will be available in October.